Nathan is our Financial Manager and has been with SERVPRO of SW Columbus since January 2012. He is responsible for all financial aspects of our business and is a vital part of operations..
Andrea is our Production Manager and has been with SERPVRO of SW Columbus for over 9 years. 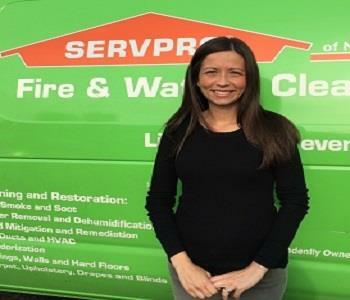 Andrea manages crews and jobs according to SERVPRO procedures. She is responsible for pretesting, scoping of services and job estimates. Her certifications include IICRC WTR, HST, FSRT & ASD. Subrogation I & II and is Lead Base Paint Certified. Zubair joined our SERVPRO SW Columbus team in April of 2016. He will be involved in business development in the mitigation and construction divisions. Zubair brings his knowledge and experience from working in the insurance industry.This experience will valuable estimating all types of projects. Ken is our newest construction Project Manager. He joined our SERVPRO SW Columbus team in April 2016. He has 20 years of experience in the construction field. Eight of those years were working on insurance claims. LaShawn is a Sales Representative covering three areas in Columbus, Southwest, Northeast and Gahanna. He has been with SERVPRO of SW Columbus since September, 2014. LaShawn has a business degree and 10 years experience in the finance industry and he is IICRC WRT certified. Alexa is our Office Manager and has been with SERVPRO of SW Columbus for over 7 years and is a vital part of our team. Alexa is responsible for the office team delivering exceptional customer service. She is IICRC WRT certified. Dave has been part of our SERVPRO of SW Columbus office administration team since September 2014. He handles all the administrative details to process water damage claims. Dave is IICRC WRT certified. Rachel is a member of our office administration team and is responsible for supporting our construction department. Rachel has been with our SERVPRO of SW Columbus team since February 2015. Jeanny has been with SERVPRO of SW Columbus for over 21 years and serves as a support for our marketing team, office and accounting departments. She has recently taken on our social media responsibilities. 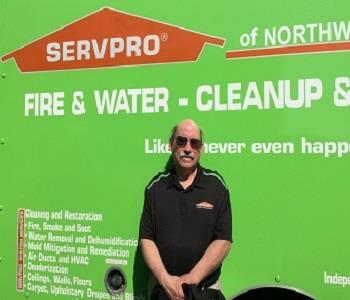 Frankie is our senior Crew Chief with SERVPRO SW Columbus with over 16 years experience. He is responsible for production on water , fire, mold and biohazard claim. His certifications include IICRC WRT, HST, and FSRT. 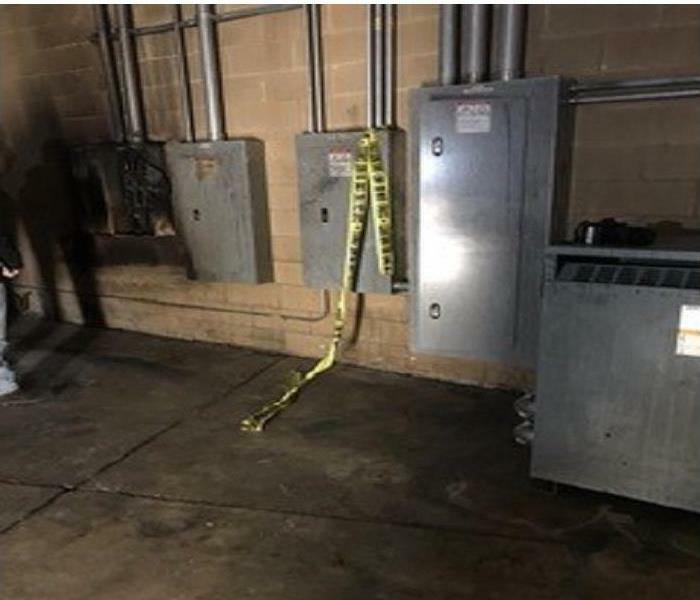 He also has Subrogation I & II and is Lead Base Paint Certified. 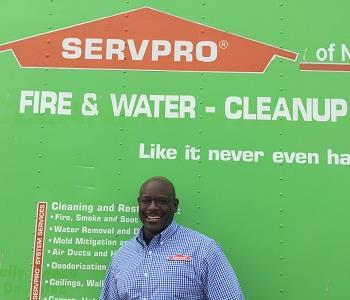 James is a Crew Chief manager and has been with SERVPRO of SW Columbus since April 2012. James is responsible for production on fire, water, mold and bio-hazard jobs. Certifications include IICRC WRT and Lead Base Paint Certified. Jarrod has been part of our SERVPRO SW Columbus team since March 2015. As a Crew Chief is he responsible for production on fire, water, mold and biohazard jobs. Jarrod is IICRC WRT certified. Congratulations Devlin on your promotion to Crew Chief. Devlin has been with our SERVPRO SW Columbus team for over 4 years. Devlin is IICRC WRT certified and has Subrogation I and is Lead Base Paint Certified. 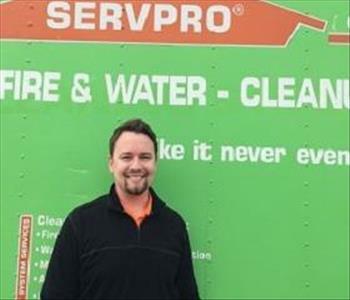 Thomas is a production assistant and has been with SERVPRO of SW Columbus since February, 2013. Thomas assists Crew Chiefs with water, fire and mold projects. 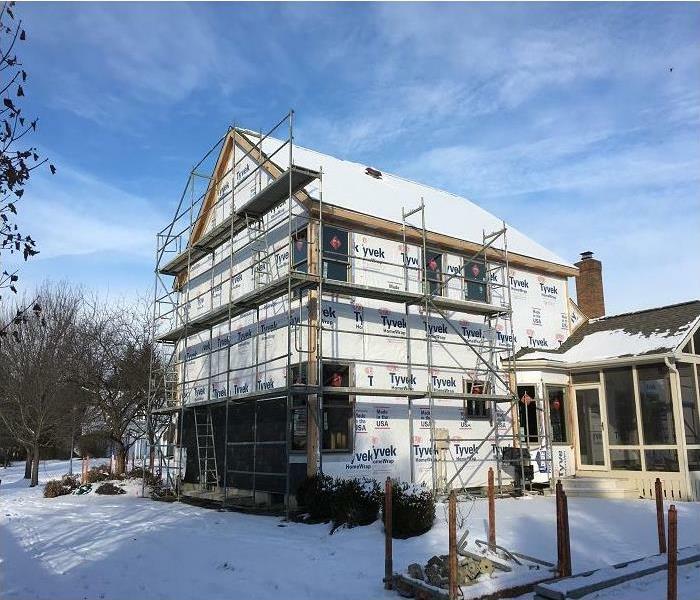 Certifications include Lead Base Paint certification and Subrogation I.
Jeff is a member of our SERVPRO of SW Columbus construction team. Along with his general construction experience, he is a licensed electrician for the State of Ohio. He has 18 years experience in both the electrical and general construction fields. 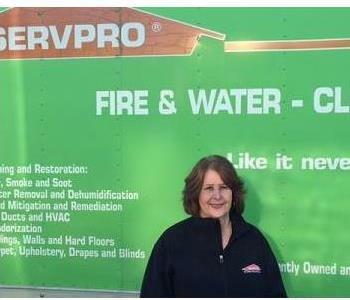 Patty has many duties at SERVPRO of SW Columbus. She is responsible for all our content boxed cleaning, completes pack outs and keep our office looking great.Patty has been part of our SERVPRO team for over 10 years. Jim is responsible for monitoring our water damage claims making certain all materials have met their drying goals. 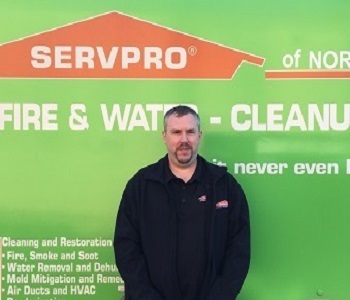 Jim has been with SERVPRO of SW Columbus for over 10 years. Certifications include IICRC WRT, HST and CCT. He is also has Subrogation I & II and is Lead Base Paint Certified. SERVPRO of Southwest Columbus welcomes Steve to our construction team. Steve has thirty years’ experience in the construction and restoration business. His dry wall and painting skills will be a great asset to our team. SERVPRO of NE Columbus welcomes Jason to our team. Jason has an 8 year background in steel manufacturing at Buckeye Steel in Columbus OH. As a production assistant he and will be learning the fire and water business with the goal of becoming a crew chief.